University of Otago researchers have discovered information about a gene that sets primates – great apes and humans – apart from other mammals, through the study of a rare developmental brain disorder. Dr Adam O’Neill carried out the research as part of his PhD at the University of Otago, under the supervision of Professor Stephen Robertson, discovering that the PLEKHG6 gene has qualities that drives aspects of brain development differently in primates compared to other species. “Broadly speaking, this gene can be thought of as one of the genetic factors that make us human in a neurological sense,” Dr O’Neill who now works in the Department of Physiological Genomics at Ludwig Maximilian Universität in Munich, Germany, explains. “Such genes have been hard to find, but using an approach where we studied children with a certain brain malformation called periventricular nodular heterotopia, we found a ‘damaged’ genomic element in a child that had the attributes of such a primate specific genetic factor,” he explains. In this particular condition a subset of neurons in the developing brain fail to take up their correct position resulting in a variety of symptoms including epilepsy and delayed development. Dr O’Neill and research collaborators from Max Planck Institute of Psychiatry, Germany, then set forth to test the point that the gene drives aspects of brain development that are unique to primates. Some amazing data was found using a novel approach through studying human “mini-brains” in culture. 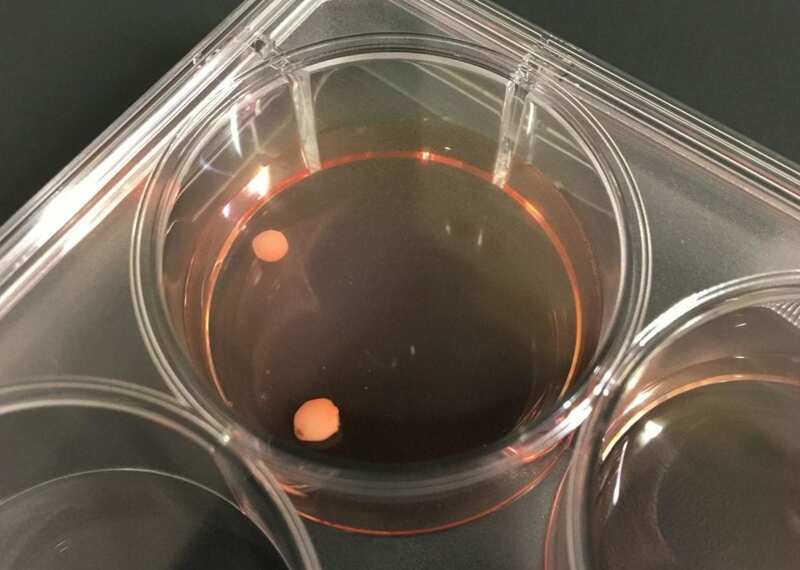 It is now possible to take a skin cell and transform it using a set of genetic tricks, so that it can be triggered to form a tiny brain-like structure in culture in the lab. Their results showed that the particular genetic change that disabled a component of this gene (PLEKHG6) altered its ability to support the growth and proliferation of specialised stem cells in the developing brain. In addition, some of these cells also failed to migrate to their correct position in the growing “mini-brain” during the first few weeks of brain development. Dr O’Neill says there are very few genetic elements that are primate specific in our genome, so this discovery adds to a very short list of genetic factors that, at least in one sense, make us human. “Such an understanding positions us to better understand how a brain builds itself- knowledge that will add to our ability to design strategies to repair the damaged brain, especially early in infancy where there are still lots of stem cells around,” Dr O’Neill says. “Personally, I also think it does underscore how it is very subtle nuanced differences that separate us from other animals. Our anthropocentrism could be a whole lot more humble,” Dr O’Neill says. This work was supported by Curekids and the Health Research Council of New Zealand.